For those in the know, the name Belise means independence and determination. Individuality and learning through one’s own experiences, relying upon ingenuity and practical creativity to accomplish one’s objectives. For the towering, state-of-the-art property located in Bowen Hills, the name could not be more apt. 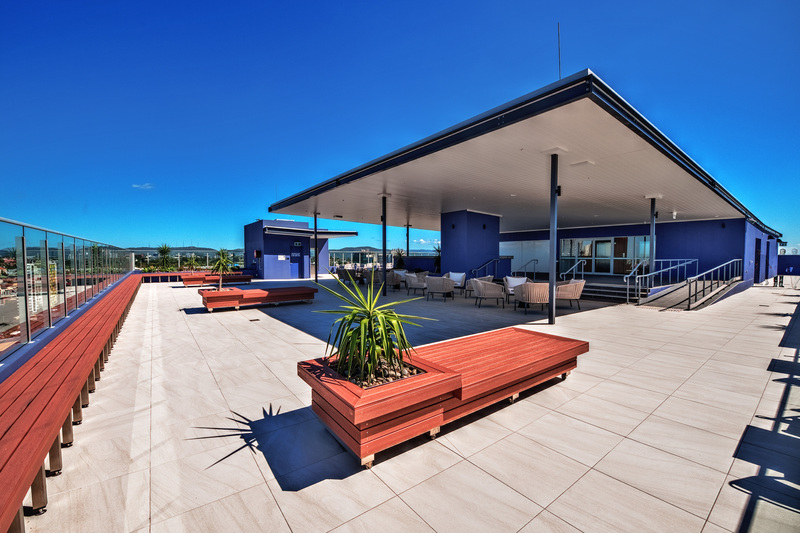 Emerging from 12 months of disputes and management challenges, Belise Apartments now looks set to claim her place as one of the leading, fully integrated apartment and conference complexes in Brisbane. Leading the dramatic turn-around is general manager Craig Davson and his management team of Mike Barrell (assistant manager), Sally Wang (BDM) and Shakira Marurai (front desk), and while all are a little work-weary, they are enthused about their prestigious charge and are deeply committed to ensuring that Belise lives up to its obvious potential. Situated on one of the highest points in Bowen Hills, and only a stone’s throw from a myriad of cafes, restaurants, offices and the Brisbane CBD, Belise Apartments offers over 200 premium accommodation rooms including one, two and three-bedroom modern apartments for permanent rental on six or 12-month leases. Each apartment features generous living spaces and an abundance of natural light. Irrespective of room format, each apartment also has a spacious balcony from which to take in the spectacular views, a fully equipped kitchen with stainless steel European kitchen appliances and high-quality fixtures, laundry facilities, air conditioning, cable TV channels and free wireless internet access. Guest facilities include an idyllic resort pool, sauna, fitness room and rooftop deck with unrestricted city and river views, as well as free car parking. Unexpectedly, Belise also offers one of the most versatile conference and exhibition venues in Brisbane’s inner city. Situated only 600 metres from the Royal International Convention Centre, the fully integrated 4 ½ star apartment complex offers unparalleled meeting, accommodation, and recreational facilities. The conference wing can accommodate groups ranging from 10 to 150 people and features a pillar-less conference room with glass wall frontage and can divide into three versatile meeting spaces (Osprey, Jabiru & Brolga), all of which have natural light. When asked about the benefits of its location, Craig gushed: “Belise is located on the corner of St Pauls Terrace and Brookes Street in Bowen Hills, on the doorstep to one of the most exciting urban renewal precincts in Brisbane. Once complete, the $3 billion showground redevelopment scheme will provide the community with an exciting array of new retail outlets, a fresh food market unrivalled in Brisbane as well as a host of elegant bars, trendy restaurants, funky cafes and boutique shopping. Despite an extensive background in hotel management - having run two hotels in Taupo and Rotorua, New Zealand before getting into corporate events throughout Australasia, Craig admits to being slightly unprepared for the initial challenges of management rights, and Belise in particular. When asked how he got involved in management rights, Craig said that he has friends that manage a very large property on the Gold Coast (large enough to warrant eight bodies corporate), and they invited him to work with them while he looked for his own opportunity. “Belise suits me perfectly,” he adds. “And it’s not just because of the beautiful resort-style apartments. We have world-class conference facilities and a great café, everything I’ve dealt with before. “Six months in, and we also have a specialist team on hand to ensure that everything runs smoothly and that we have guests returning, both locally and internationally. We have more than doubled occupancy rates, our online referral rate is sitting at 9.0; and the owners and body corporate are happy. Despite his short tenure, when asked if he had any advice for those considering an investment in management rights, Davson is quick to caution: “Be careful when buying ‘off-the-plan’, management rights is a solid and very viable business but go into it with your eyes open. “Know that it’s hard work and that it’s difficult to keep everyone happy. When running a hotel, you have one overall owner to report to, in management rights every unit owner is your boss and Belise boasts 228 of them!